1. Through medicine and healing we keep our animals healthy. 2. Through training and understanding species specific behavior we learn to live together safely and within acceptable boundaries. 3. It is only through love, however, through the portal of the heart, that we come together as fellow souls, to communicate what is most important to one another and to grow in intimacy and harmony. It is through this third window—the path of empathy, compassion and love—that we employ the universal, natural skill of telepathy to learn what individual animals are thinking, what they're feeling, what they may need, and who they really are inside. And it is through this window, this path of acknowleding the souls of animals with love and respect, that communication with animals becomes sacred. 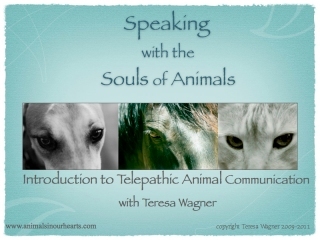 Animal communicators and the field of animal communication are referred to by many names: pet psychic, interspecies communication, telepathy with animals, pet whisperers with dogs, cats, horses and other animals, etc. 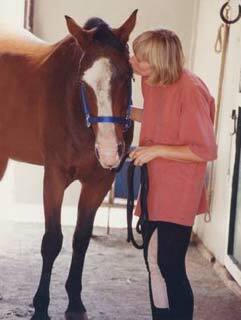 Whatever terms are preferred, what is important is that when we love animals and want to honor and effectively communicate with them, we must relate to them not only via their physical bodies and observable behavior, but also beyond biology and behavior--to acknowledge and communicate with them at the level of their souls. Scroll down to the menu box to follow the links to learn much more about about animal communication, what it's like to work with an animal communicator and for resources on animal communication books and CDs. This webinar is ideal for anyone who is curious about how animal communication works, for those who want to begin their education on how to communicate with animals, and for those who may want to add additional viewpoints to what they have already learned about communicating with animals. A professional animal communicator since 1991, Teresa offers consultations with gentle compassion, empathy and love for both your animals and you. Her animal communication work is with animals both here and in the afterlife and she communicates with all animal species. She also offers classes in animal communication and grief support, facilitated sacred journeys to swim with and communicate with humpback whales, and has created a number of products to help people communicate with animals and heal their grief. Full Bio. I want to remember every word that I possibly can, that my precious Charlie said. You have an exceptional, blessed, sacred gift. Even though I only "met" you once, I love you for your spirit and the sacred work you do for animals and people. I send a beam of love, from my heart to yours, With reverence and great respect. 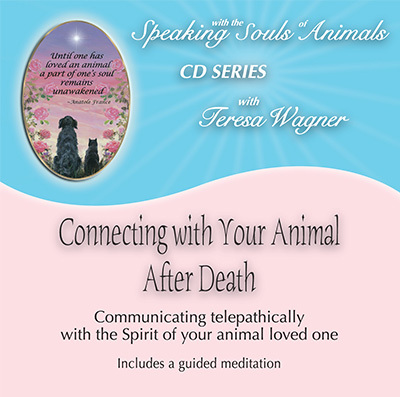 I ordered your CD “Connecting with Your Animal After Death” after my Max died. Today, I finally found the personal time and space to listen to it for the first time. It is such a blessing to be able to hear your voice whenever I need to. If I had the privacy in my own home to listen to it every day, I am sure I would. As it is, I can only keep it in my drawer of treasured items and sneak in a listen when I am alone and the house is quiet every few weeks - just me and my animal family. Your voice, your kindness, and your understanding, have sustained me through some very trying time in the past few years. I know that I am faced with even more stressful times with the humans in my life in the years to come. If it were not for my animal family, I don’t think I could have dealt with it. We want to thank Teresa so much for all the help she has given us over the past year in our animal communication consultations with our pets. 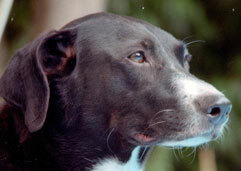 she is always professional, kind and loving, and is a great mediator in our discussions with our animals. We love our dogs and cats so much--being able to talk to them with Teresa's animal communication help is such a great blessing. There are certain people who are able to give so much love and peace to so many--and Teresa is one of these people. Thank you, Teresa. I just wanted to extend a sincere, deep, and heartfelt thank you for the animal communication consultation we had. You helped me communicate with my beautiful angel, Calvin, my little boy, His loss has been devastating on a level that I have never before experienced. But when you communicated with him it was so comforting to feel that beautiful connection once again which has given me a stronger sense of peace. Your love for animals, warm spirit, and gentle words were so soothing. I cannot express how much I appreciate your animal communication work and your kindness and doing the vital, much-needed work that you do for us and for the animals. Sincerest thanks, to all the animals whose lives you have touched. Although I have consulted several professional animal communicators over the years, and a couple of psychic "mediums," I feel it is clearly the high vibration and unconditional love of Teresa's presence that has made the animal communication consultations with her so healing and transformative.Teresa Wagner has helped me immensely both working with my many animals, I have consistently experienced large, positive shifts after working with her. I recommend her work very highly, as her healing presence has been so enormously helpful in my life. 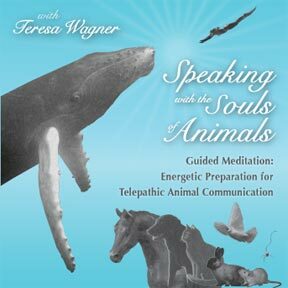 Teresa's gift and skill in animal communication is phenomenal and never ceases to astound me--plus her qualities of sensitivity, compassion, generosity and deep intuition. So much has opened up and healed for my kitties and me. I first rang her in the weeks following the passing of my cat. We had never worked with an animal communicator before but in that time of grief I wanted to try. We contacted my departed kitty, and my animal family and I could experience the healing that came from the communication. 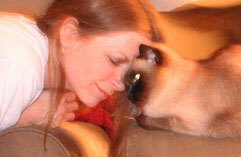 My other cat has also benefited much from our animal communications sessions--she has blossomed beyond recognition. Our whole family has grown in harmony and well being as a result. I always felt that Teresa took us into her heart and it was this that healed. We couldn't help but take her into ours. 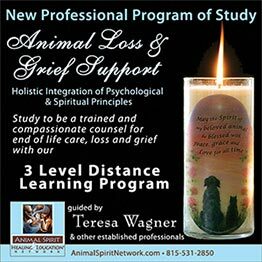 Teresa possesses such skilled, knowledgeable animal communicatino expertise & the loving style in her delivery of all the information is tremendously comforting. Her healing energy is very powerful, yet gentle in nature.Teresa's loving help, healing, teaching & gentle guidance has been a treasured part of our lives since the very first session with her in October of 1999.